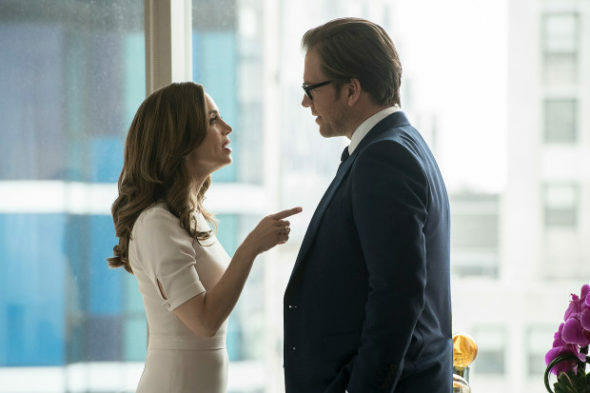 Why did Eliza Dushku leave Bull? TVLine reports Dushku departed the CBS TV show after accusing star Michael Weatherly of sexual harassment. Dushku played J.P. Nunelly on the first season of the legal drama, which stars Weatherly as Jason Bull, a doctor who combines psychology, human intuition, and high-tech data to learn what makes jurors, attorneys, witnesses and the accused tick. The cast also includes Freddy Rodriguez, Geneva Carr, and Jaime Lee Kirchner. According to reports, Dushku filed a formal complaint against Weatherly after what she alleged were several incidents sexual harassment on set. Initially, here character was slated to become a series regular and romantic interest for Weatherly’s character on Bull. TVLine says Dushku’s character was written out shortly after the actress confronted Weatherly about his actions. Eventually, CBS reportedly paid Dushku a $9.5 million settlement. What do you think? Do you watch Bull? Do you think Dushku should’ve stayed on the show? No, never did care for this actor, only because she couldn’t act. I thought she was awful. Just because she is beautiful is no reason to keep her. When are women going to stand by other women? Sexual harassment is a common and men supporting and covering up for men is common as well. As a woman I am disgusted by the comments by other females in this forum. Whether you liked her character or not isn’t the point. I liked the show but I believe this woman and choose to watch something… anything else rather than support this show or it’s advertisers. I hope the show replaces their star or gets cancelled and Mr. Weatherly is out of a job. No, i never liked her at all. want to pursue, especially after allegations of that nature. This would’ve been totally uncomfortable for both characters. I watch Bull every week and I don’t remember her character. No big loss. I’m a fan of the show and the show’s star. I’m also a fan of Eliza Dushku. What ever happened is between them. I’m not going to draw a conclusion either way. She’s 9.5 million happier. I’m not going to stop watching the show over this. It’s one of the few shows I watch on CBS. I am very disappointed in Michael Weatherby’s conduct. I was a faithful viewer of “Bull” but no more. Will this show be cancelled after season 2 is finished? We will find out. I agree this metoo movement(which was purposely made or taken from whomever started it) has gone too far. I don’t know about this case but to say “I worked years blah no ever felt harassed” just seems implausible to make some point. Women and men are harassed taken by human trafficking but I’ve never met anyone who has been through that, but I know it happens. I would never say that didn’t happen and some people are threated and fear for their life and that keeps them from SPEAKING UP! One has nothing to do with the other…..
She DID speak up at the time. Also, no man should be treating their co-workers like that. I never cared for her character. Neither did I so no loss. I never like her acting, she probably said something to trigger Michael to make inappropriate comment, maybe she provoke him. I was not there and it is unfair to Michael to be treated this way. He has been with NCIS for 13 seasons and you do not get any bad comments about his behavior.